Place making is increasingly seen as responding to a gap in our current approach to design and one that can have major benefits to the entire community. This idea is not new but in Australia it’s gaining momentum with a number of initiatives catalysing this change. Our grass roots approach and increasingly creative public is helping generate new trends, either inspired by global examples, or providing the inspiration. Over the past decade, the public has become more engaged and aware of urban issues – sometimes creating misunderstanding and tension but, for the most part, creating more liveable communities. So what’s the next evolution in the process? In Australia, we’re closely aligned with Canadian attitudes towards engagement but where to from here? The answer lies in social design. Across the nation, government agencies are aligning with communities to create environments that reflect their needs, wants and aspirations. Take Melbourne for example: its urban renewal agency recently changed its name to Places Victoria to reflect this change in focus. Another example is Adelaide, a trending city in general, where various government bodies have partnered to create an ideas campaign for urban design called 5000+. It’s no longer commonplace to just survey the public; a true intent must be established to deliver local ideas at a macro scale. In 2011, a group of young, interested and creative individuals were motivated to eat healthy and grow locally. Based in Sydney, they launched a community that was, and continues to be, focused on smart food choices. The Youth Food Movement, as the group is known, promotes, encourages and supports the philosophy of a healthy and secure food system. While the Sydney chapter links into the global network, it also connects with other local initiatives including Greenups, Wild Stories and the Veggie Patch Van. It’s entirely run by volunteers and this appears to be part of its attraction and success. Young people want to connect but also feel a sense of worth not easily found online. The YFM continues to inspire a generation to understand the journey of our food, from the farm to the plate. 3. Renew Newcastle, Renew the World! If the cheap rent craze hasn’t hit a town near you, it soon will! Starting in Newcastle, a small town outside Sydney, the idea of leasing retail for cheap rent with the hope to activate dead commercial districts, has spread throughout the world. The Renew campaign continues to play an important role in Newcastle and has recently spawned Renew Australia, a national social enterprise designed to catalyse community renewal, economic development and the creative industries. It’s a trend that continues to grow stronger and stronger each year. 4. Hungry? There’s an app for that! 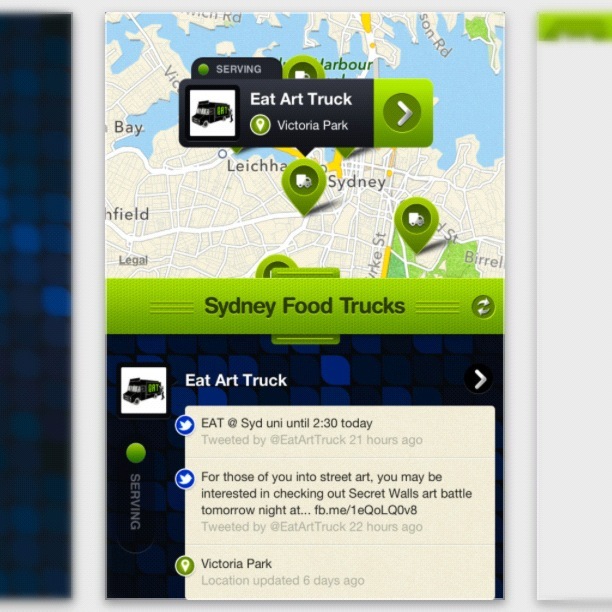 In October 2012, the City of Sydney launched Australia’s first official ‘food truck’ app. The app tracks the nine trucks operating across the city as part of a 12 month food truck trial. The app is great for finding your closest food truck and keeping in touch with the moving restaurants directly via Twitter or the built in news feed roll. A Google map shows which trucks are ‘sleeping’ and which are ‘feeding’ and also highlights your location in the city for easy navigation. It’s a great strategy for Sydney and an even better app! 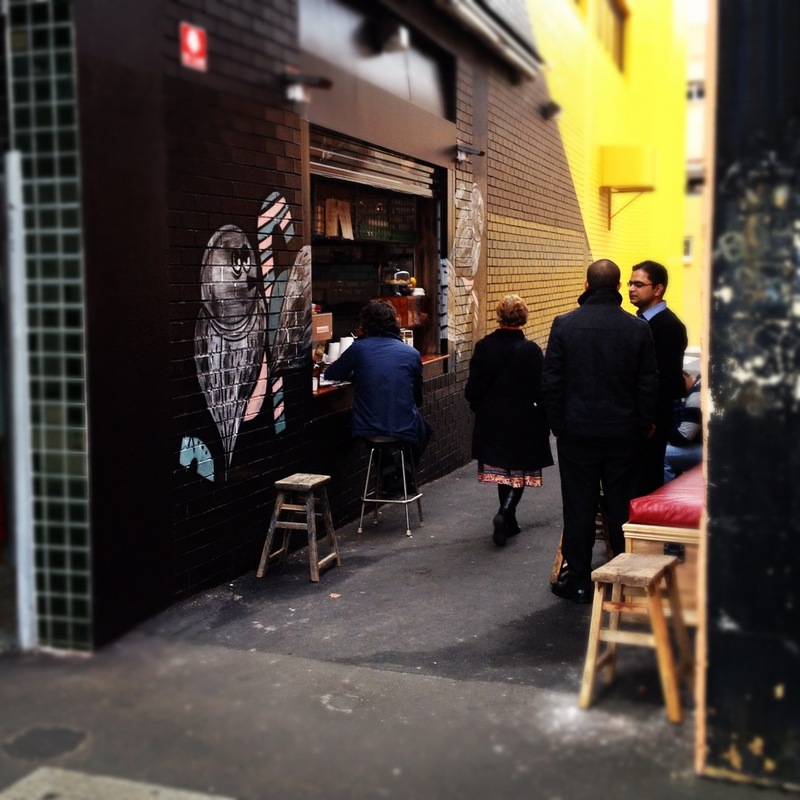 Melbourne is well known for its cosmopolitan, edgy and creative vibe. It sells this identity and captures an increasingly curious audience. The laneways are an important element to this story and are partly to thank for the City’s continued rejuvenation. 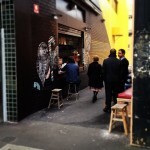 Other cities across the nation, including Sydney and Perth, have taken an example from Melbourne, where in the mid 1990s a collection of small, locally owned businesses responded to the economic recession of the time and incentives for cheap rent. These businesses rejuvenated previously lost space, swapping it for coffee houses, small bars and trendy fashion boutiques that today attract thousands of visitors a week. In 2013, the ‘melbournisation’ of Australia’s capital cities is set to continue, with momentum building to replicate everything Melbourne. It’s our local answer to Copenhagen but is it all good? Time will tell. 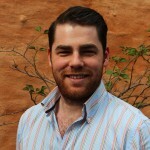 John is an urban planner with a background in placemaking specialising in community engagement and design. He has a wide range of experience working in both the private and public sectors and takes a holistic approach to planning. His passion is for finding solutions and opportunities at a ‘grass roots’ level, balancing community needs with economic priorities and developing tangible outcomes for creating new, or revitalising old neighbourhoods. Over the past few years, John has been involved in projects in and out of Sydney, and has recently won a tender with City of Sydney to deliver a Social Activations Program. John approaches new projects by considering each place and its unique identity and influences, before developing a strategy for designing the various layers of public realm. John also has an interest in global trends and how these can be implemented at a local level through design that complements soft infrastructure. Newcastle “… a small town outside Sydney..” Clearly you have ever been to Newcastle.